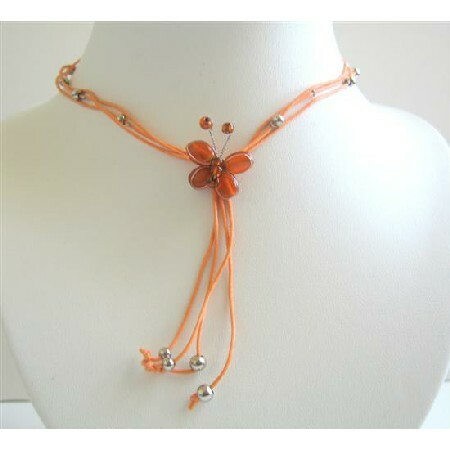 An exquisite necklace with cute & pretty Orange Butterfly pendant which Add chic elegance & stand out from the crowd. Pendant is made of simulated glass material with silver beads all accented in multi strings & tassel celebrate your individuality. Variations in the color & pattern lends a surreal beauty to the necklace which features multi strands necklace.